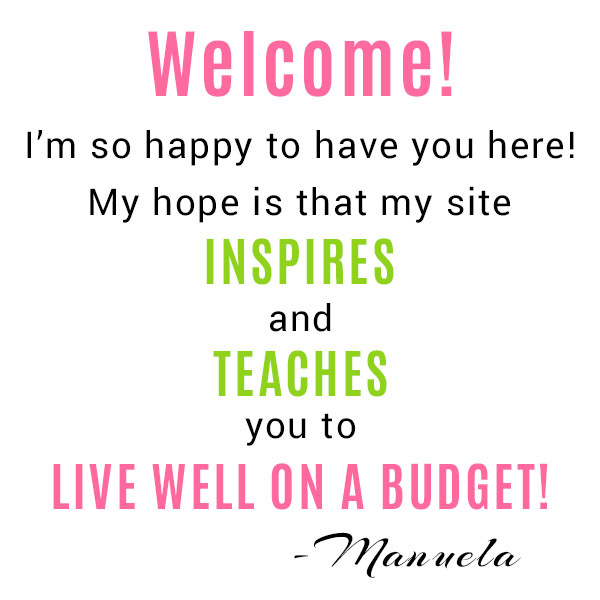 Being frugal is about finding the best places to spend your money. The things you choose not to buy, you either have to make your own, or do without. 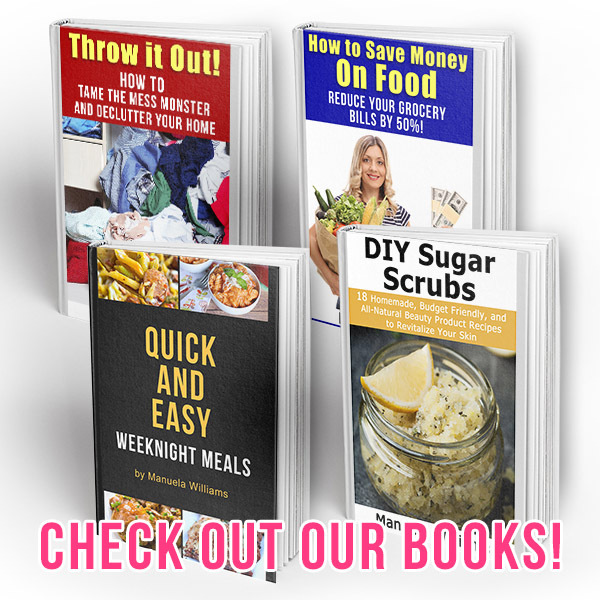 The good news is that you can be frugal and never have to do without your favorite foods if you have some basic cooking skills! So many foods and drinks are cheaper to make yourself, and don’t take a ton of time. 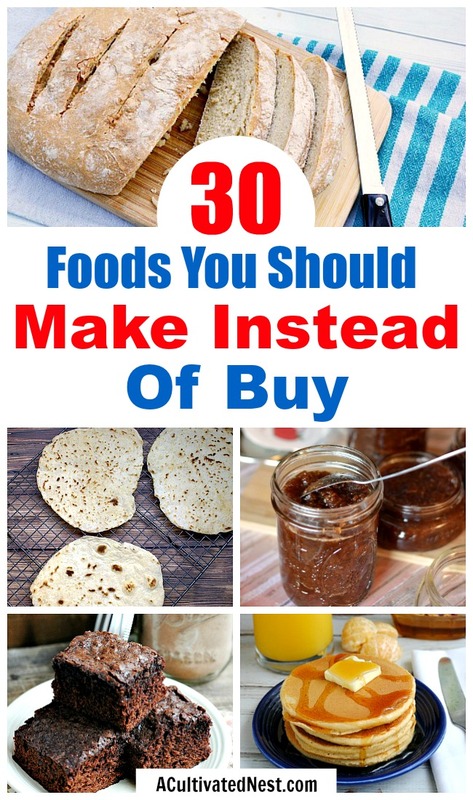 Take a look at these 30 Foods You Should Make Instead of Buy! 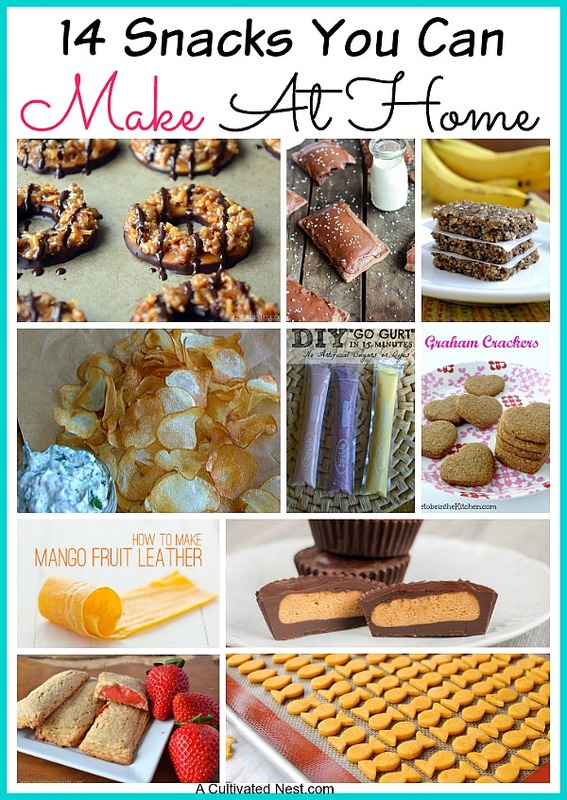 Making your own food is easy, inexpensive, and fun! Even if you don’t have a lot of fancy cooking skills, all you really need to know are some kitchen basics to make the foods below! Hummus- Anyone with a can of chickpeas (AKA garbanzo beans) and a food processor or blender can make hummus! And you can flavor it however you like! Guacamole- Guacamole is essentially seasoned mashed avocados. So if you’re on a budget, guacamole should be top of your list of foods to make instead of buy! Pesto- If you have a food processor or blender, you can make pesto! Traditional pesto is made with pine nuts and basil, but there are a lot of other ways to make it too. You can leave out nuts completely, use healthy kale, or more! Salsa- Salsa is another thing that’s super easy to make at home. You really just need canned or fresh tomatoes, onion, and chilies, plus some seasonings. What’s great about homemade salsa (aside from how inexpensive it is) is that you can have full control over the heat! Oatmeal- Stop buying those commercial oatmeal packets and make your own oatmeal! It’s essentially just oats, water, a sweetener, and seasonings. You can even make your own dry oatmeal mixes that you keep in baggies! 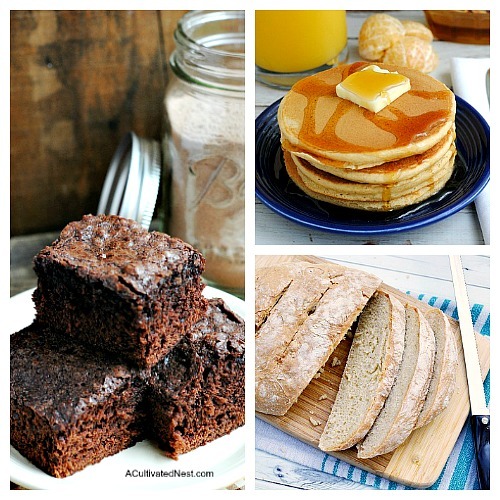 Bread- There’s nothing better than fresh baked bread, especially if you baked it yourself! 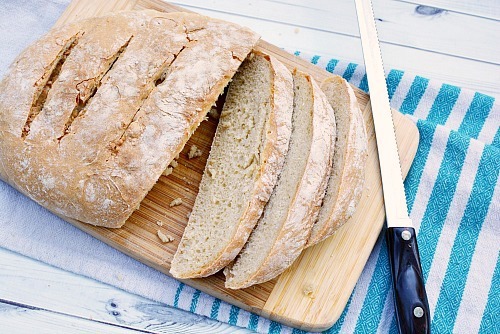 You can make baguettes, French bread, sandwich bread, and more, with or without a bread machine! Cornbread- If you like delicious cornbread, it’s definitely something you should make instead of buy. And if you’re on a gluten free diet, it’s really easy to make gluten free cornbread! Rolls- Dinner rolls are super easy to make, and won’t get hard in half an hour like some of the commercial ones that you heat up! Cakes/cupcakes- Once you make a 100% from scratch cake, you’ll never look back! Plus, homemade cakes and cupcakes are a lot cheaper to make for a party than to buy! Cookies- Stop buying dry commercial cookies or boxed mixes, and whip up fresh cookies at home! They’re easy and inexpensive to make, and don’t have to bake for long! 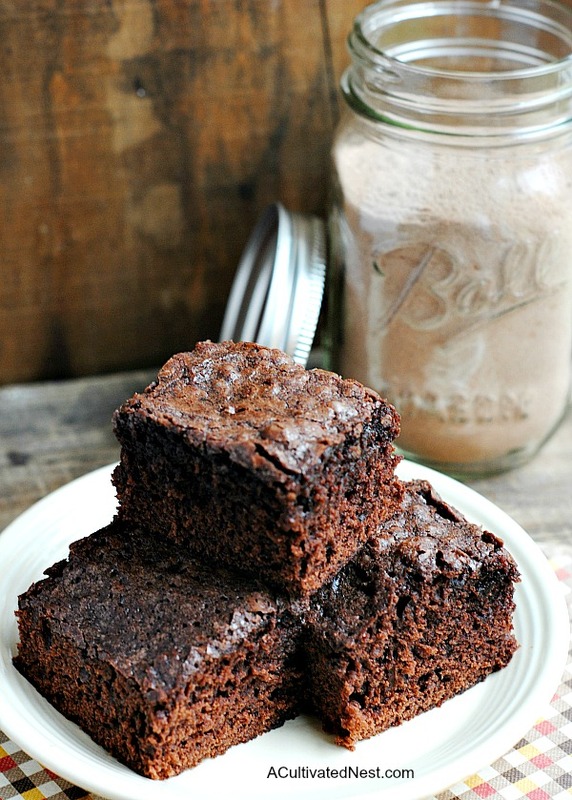 Brownies- You’re probably getting the idea now- if it’s a dessert, make it at home. Brownies are so much better fresh out of the oven than a few days old from your store’s bakery. And completely from scratch brownies are definitely more delicious than box mix ones! Spaghetti sauce- If your family uses a lot of spaghetti sauce, you can save a lot by making your own (especially if you can buy canned tomatoes in bulk). It’s really just tomatoes, water, and as much sugar and seasonings as you prefer. Pizza sauce- To be honest, few people would be able to notice if you just used spaghetti sauce instead of pizza sauce. But if you’re cooking for real pizza connoisseurs, you can make your own pizza sauce by putting some canned tomatoes in a blender/food processor with olive oil, sugar, and some seasonings. Marinara sauce- Pretty much all tomato based sauces are easy to make. With marinara sauce, all you really need is a quality brand of crushed tomatoes, sugar, plus some seasonings. Barbecue sauce- Shopping for a big BBQ? This time, skip the BBQ sauce and just make your own. You can either make yours completely from scratch, or just add brown sugar, vinegar, Worcestershire sauce, and some seasonings to ketchup. Applesauce- If you’re on a budget, applesauce is definitely something to make instead of buy. It’s really just boiled, peeled apples that have been mashed. 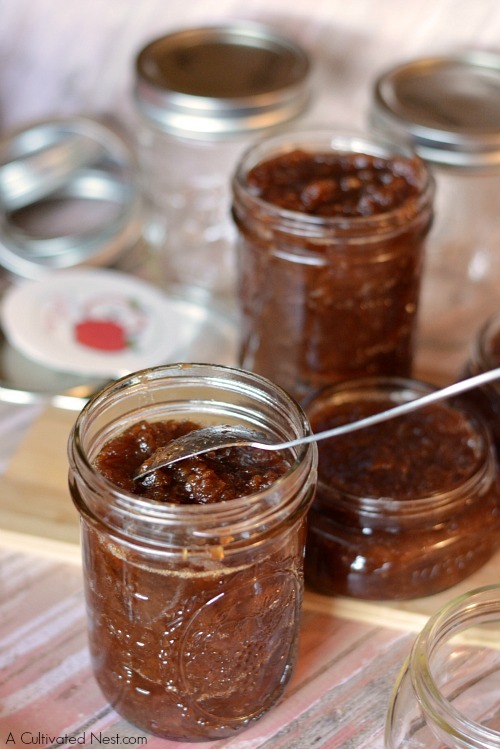 You can add as much cinnamon and/or sugar as you like, or make yours completely plain! Whipped butter- Did you know that all you have to do to make whipped butter is whip a stick of butter with some milk? So cross whipped butter off your grocery list, and just use your normal sticks of butter! Dips- Bean dips, ranch dips, cheese dips, etc. 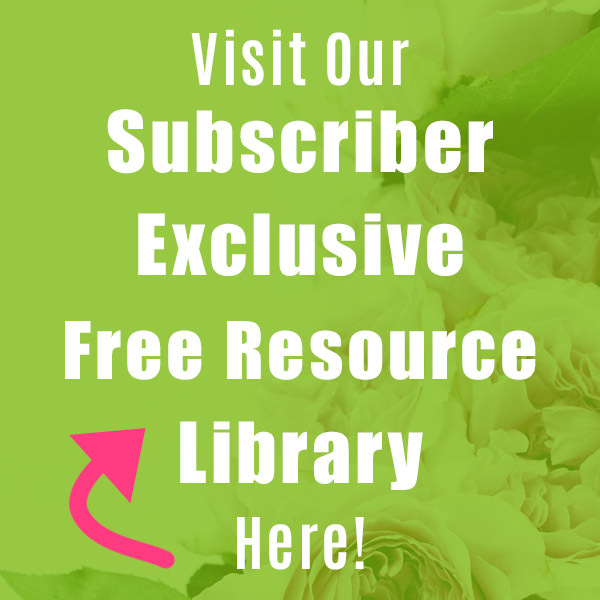 are really easy (and inexpensive) to make from scratch! Lemonade- Lemonade is essentially sugary lemon water, which means it’s a big waste of money to buy commercial versions instead of just mixing it up yourself! Sweet tea- If you want to save money, don’t waste it on pre-made sweet tea. To make homemade sweet tea all you really need is tea bags, water, sugar, and baking soda (to ensure the tea isn’t bitter). 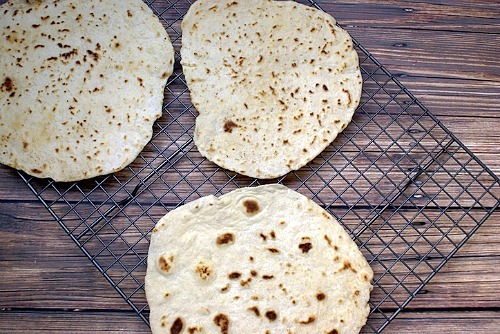 Tortillas- If your family goes through dozens of tortillas in a week, you should make tortillas from scratch yourself. It’s fun to do, plus the kids can help with rolling out the dough! A tortilla press can help speed up the process, but isn’t necessary. Coffee creamer- Did you know you can make your own vanilla coffee creamer with just sweetened condensed milk, half and half, and vanilla extract? That’s so easy! Seasoning mixes- Seasoning mixes are exactly that- mixes of seasonings. So save money and just combine the seasonings you already have in your pantry! This is a great way to use up empty seasoning jars, by the way- just tape a new label on them so you don’t get confused. Salad dressing- All salad dressings, from thin vinaigrettes to creamy ranches are really easy to whip up. 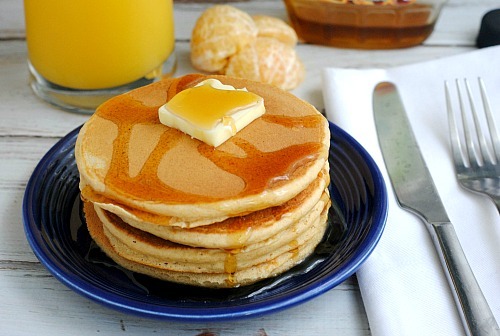 Pancakes/waffles- The same batter you use to make pancakes can be used to make waffles. And both are really easy to prepare (though waffles require a waffle maker press). Potato salad- Potato salad is essentially potatoes, hardboiled eggs, mayonnaise, and relish. Which means it’s an easy (and frugal) dish to make instead of buy! Chicken salad- Chicken salad is crazy easy to mix up. You can even make it faster by using a store-bought rotisserie chicken. In the end, you’d get a lot more chicken salad for the cost of that chicken than if you bought a tub of chicken salad instead. Lettuce salads- If there’s anything you should make instead of buy, it’s any lettuce based salads. 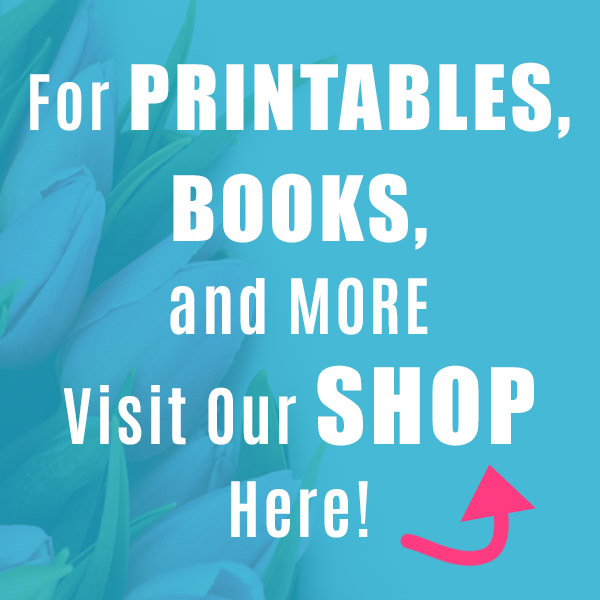 They’re just so easy to make, and fun to customize! Mashed potatoes- Homemade mashed potatoes taste so much better than dehydrated boxed ones. And they’re essentially just boiled potatoes mashed up, plus milk, butter, and some seasonings. Soup- Soups are ridiculously easy to make. The most basic are just a protein and veggies floating in broth, and even the most complex aren’t that hard! How many of these foods do you already make at home? « Should You Be Like an Old Fashioned 1950s Housewife?